I’ve always been impressed with the sound of Aurum Cantus at the shows. 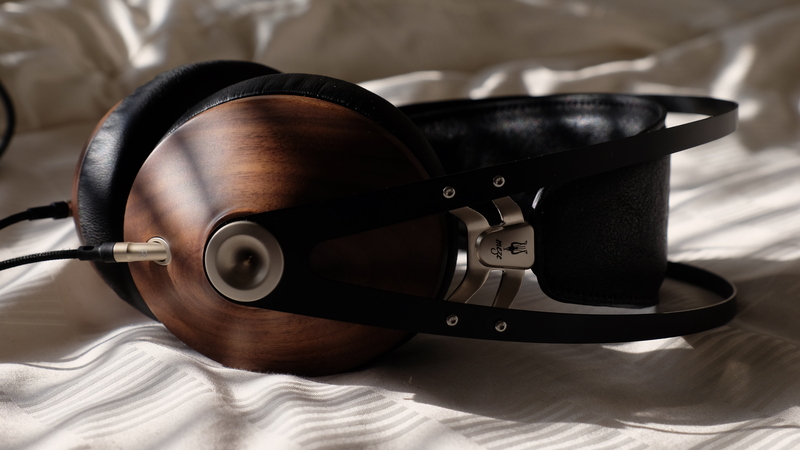 Fantastic sound and craftsmanship – without the sticker shock. My conversations with Roger DuNaier of Audiophile Direct are always filled with a delightful jest and laughter. If you ever get a chance to meet him at a show, you’ll know what I mean. 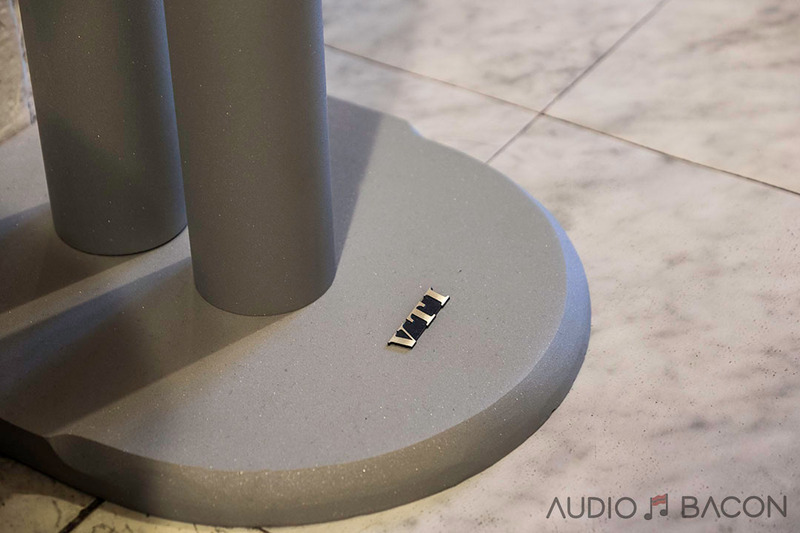 At AXPONA 2018, I noticed the Aurum Cantus LS 2SV MKII bookshelf speakers ($750) weren’t hooked up. 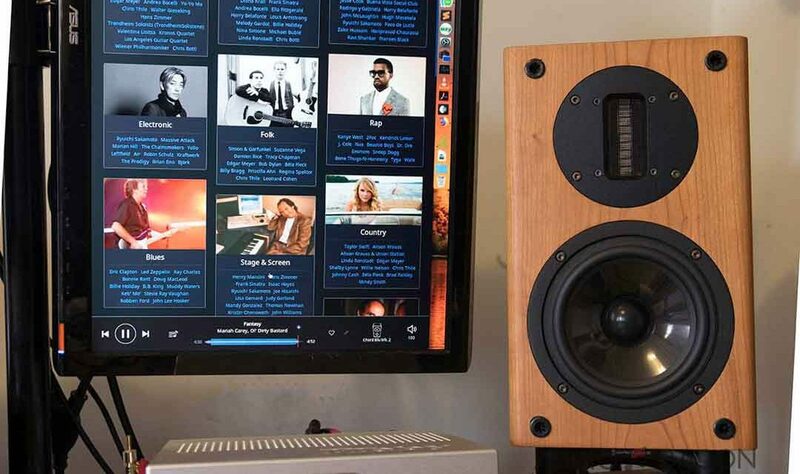 This speaker has been generating some hype and I’ve received a few emails about it. Fortunately, Roger was able to send a pair in for review a few weeks after the show. 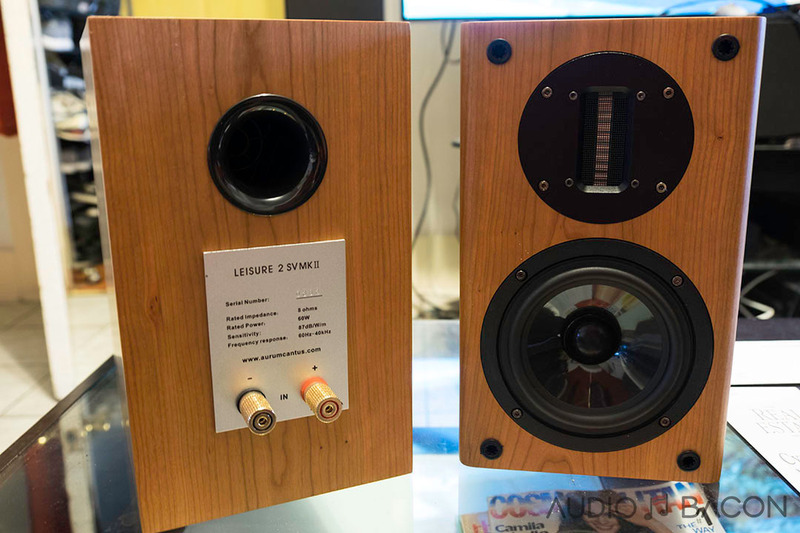 Aurum Cantus is Latin for “Golden Song” and they’re probably the largest speaker manufacturer you never heard of. 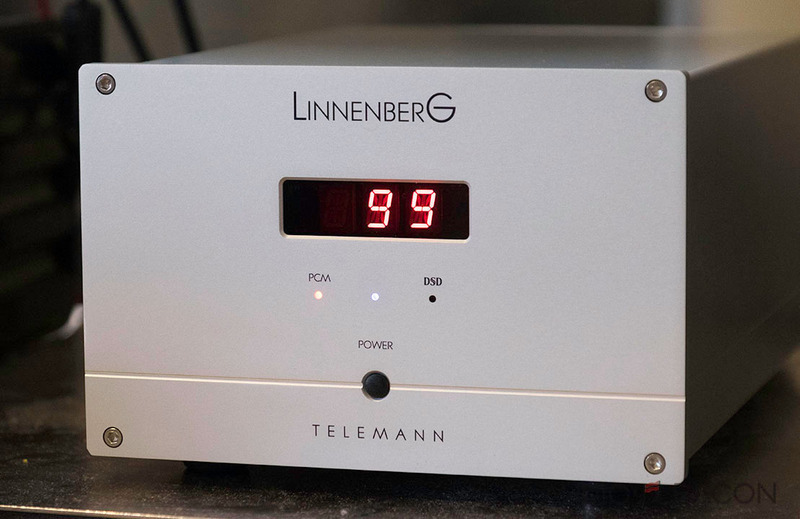 First established in Milan, Italy in the 1980’s, the company started by designing and manufacturing OEM components for high-end European speaker brands. To meet growing demand and increase their manufacturing capability, they formed a partnership in 1994 with the Jinlang Audio Company Ltd. This European-Asian consortium was formed to incorporate the two partner’s expertise in engineering, styling and production technologies into an advanced speaker manufacturer. 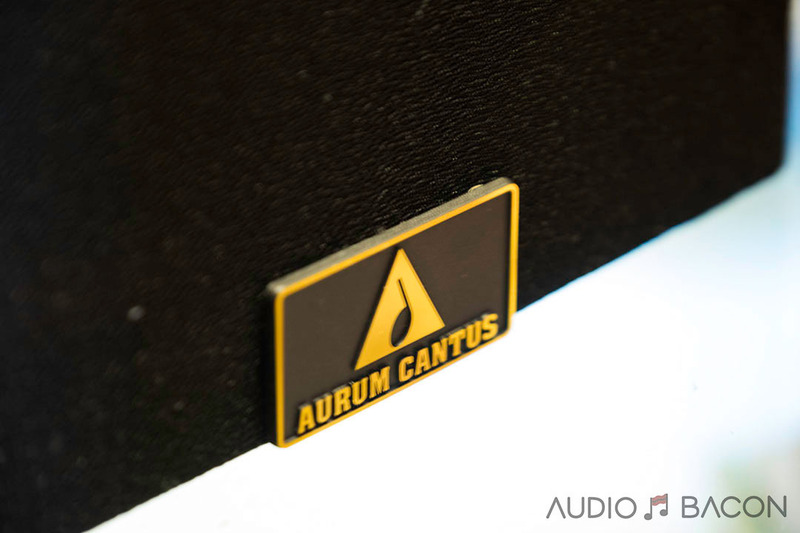 In the last twenty years, Aurum Cantus has become a major designer and supplier of speaker components to the high-end audio industry and have been helping other companies sound good for over two decades. 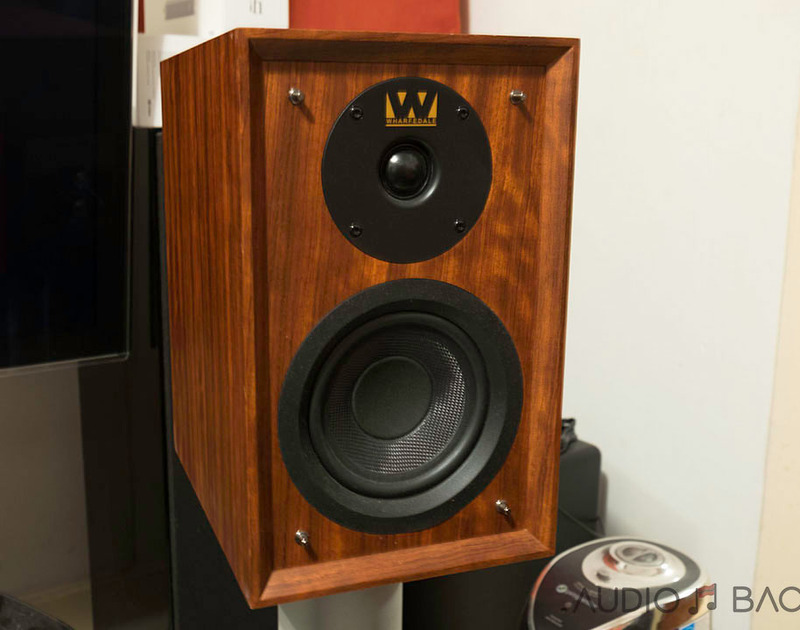 Aurum Cantus woofers, mid-ranges, and high-frequency drivers are employed by many top rated Asian, American and European speaker manufacturers. In addition, Aurum Cantus is the world’s single largest designer and manufacturer of ribbon tweeters with over twenty different models available. Four of those are their highly advanced Aero Striction Tweeters (AST). Referred to by many as Air Motion Transformers, this proprietary design has earned the company much international recognition and acclaim. Aurum Cantus speakers are renowned for the quality of their construction, aesthetics, fit, finish, performance and overall value. The build quality was impressive for the money. They were weighty (~19 lbs each) and had a beautiful finish. The informational silver plate behind the gold-plated connectors was also an elegant touch. 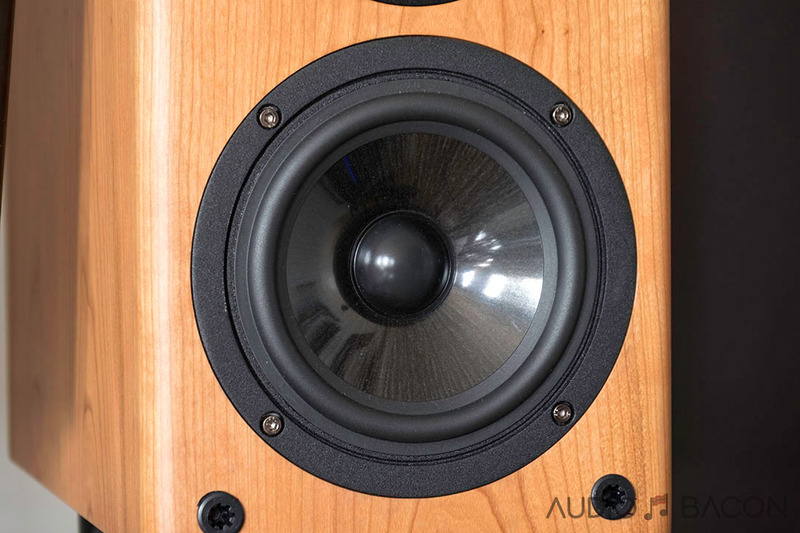 The LS 2V MKII is the entry level speaker for Aurum Cantus in the US and offers one of our most significant values. It is a two-way bookshelf speaker with a Pure Aluminum Ribbon Tweeter & 5.2″ mid-woofer. Engineered and constructed to the same high standards as the upscale VM and VF Series, the LS 2SV MKII is a serious over achiever at it’s price point. You will be dazzled by the tight, detailed and extended bass response and velvety mid / high frequency performance of this compact speaker. High power handling, high output, shielded design, easily field-replaceable for the ribbon. High purified OFC inductors and the metal oxide film resistors with military industrial standard. The standard finish is Cherry PU matt paint. Furthermore, there are also Rosewood PU matt paint, Black walnut PU matt paint, and Maple PU matt paint for options. If choosing PE high gloss paint finish, the price is different. 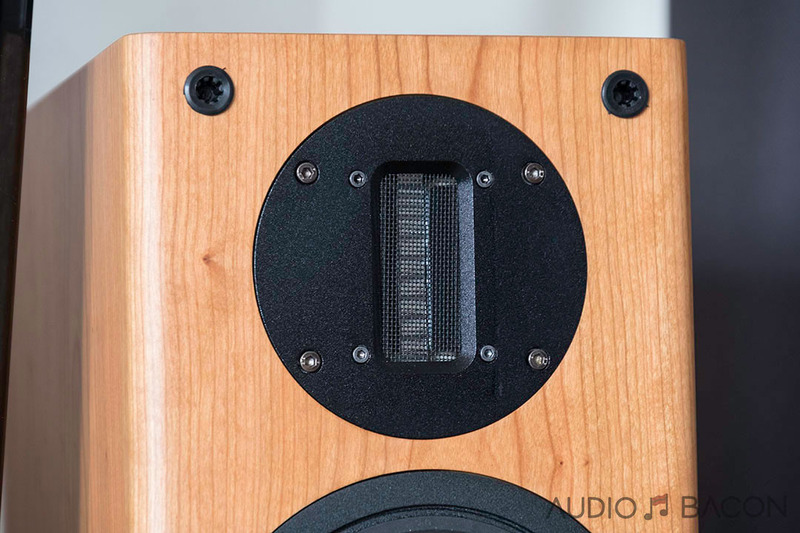 Aside from having a higher-frequency ribbon tweeter, they were quite forgiving as far placement. The sweet spot is impressively wide. Vocals are easily centered and congealed while localization cues were very precise and clear. Imaging is one of the most impressive attributes of these speakers. 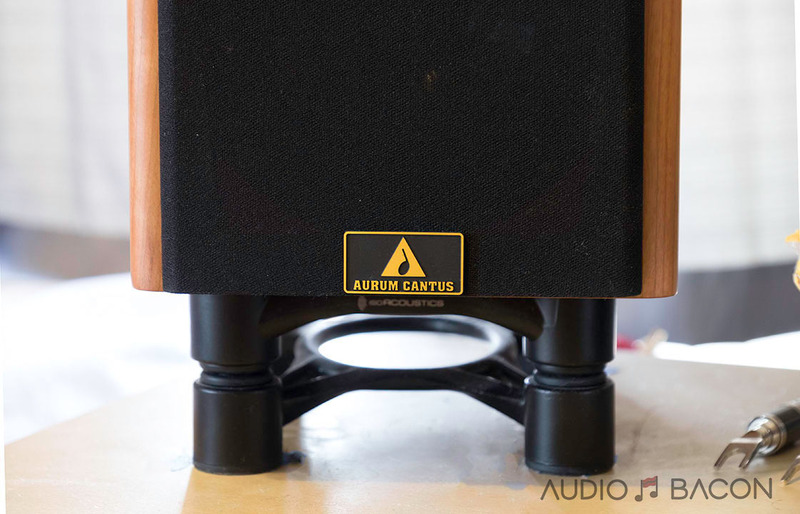 Aurum Cantus recommends 29″ to 30″ stands for the LS 2SV MK2. I’ve had them on VTI stands and on IsoAcoustics Apertas on my desk. Surprisingly, it only took me a few minutes to set them up properly. My Omega CAMs, on the other hand, took a few hours to get right. When aimed perpendicular to space, there’s still a very well-defined center. When toed-in, it still sounds spacious while maintaining a meatier midrange. Most bookshelves I’ve worked with only sound good in one position. To extract their intrinsic qualities, I used both the affordable PS Audio Sprout100 and BluDAVE + Chord TToby systems for testing. Both supply 50 watts into 8 ohms. 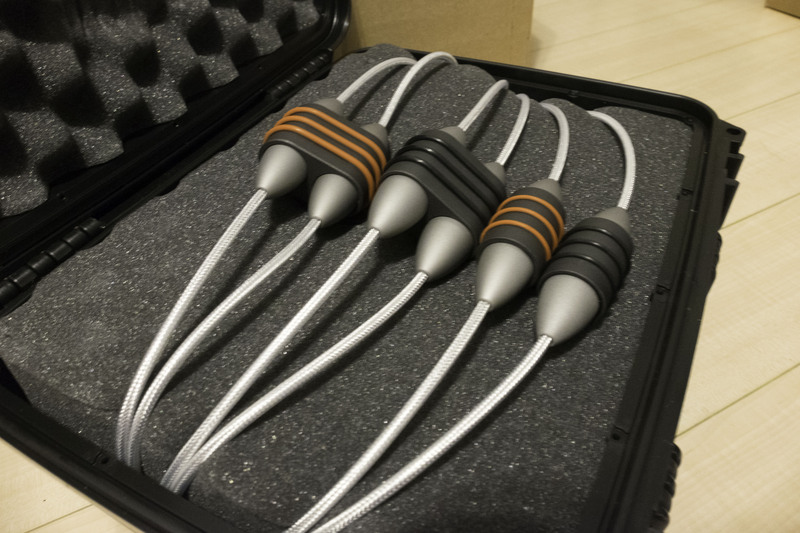 Interconnects were the Audience Au24 SX RCAs and the Danacable Sapphire Reference Mk.2 and SOtM speaker cables. I also performed listening in both near-field and far-field settings (in different rooms) with varied listening and positioning distances. The LS 2SV takes about 100-150 hours to break in. Prior to full break-in, you’ll hear a “gap” between the upper-mids and treble. Over time the woofer will synergize with the speed of the tweeters for a more coherent sound. 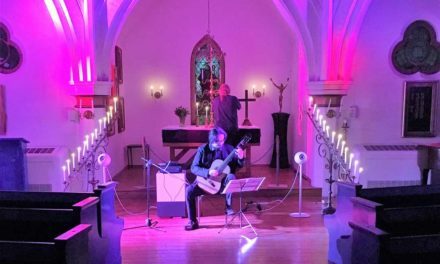 I enjoyed the LS 2SV MK2 more with acoustic, jazz, folk, new age, and both large and small ensembles. They will dig up the lower level details, render accurate depth, and provide proper phase and time alignment. I did find it to be a little light-footed for Hip-Hop, R&B, and some heavy rock, but still enjoyable. TheLS 2SV MK2 never sounds stressed or constricted. They even sound great at low listening levels. They emit a “miraculous” energy for a very engaging and enveloping sound. These ribbon tweeters are on full display with this track. Starting with tangibly airy plucks and amazing fretwork to the clarity of audience cheers. As it gets amped, layering of the two musicians is kept in a coherent fashion. From delicate zings to heavy zams, strum reverberation cues sparkle and decay realistically. Dead quiet background and fantastic soundstaging The layering of piano, brass, and voices are positioned accurately. Extension and articulation are presented with finesse. Piano notes have a slight excitement to them but somehow it works. The vocals are focused yet gentle and emotive. An intimately somber, delicate, and beautiful performance. The lines are clear as day and float in front of you. You could visualize finger glides and the characteristic of each plucked string. The resolution and quietness give way to a very eerie and tangible experience. Crystal clear and sultry vocals. Rhymic precision blankets this entire piece. There’s a delicacy in its thump and shine. The outlines are clear, especially with the slow wooden scraps rippling in the background. Very taut and well-weighted low-end. A smooth presentation with a touch of glamour and glitz. Difficult not to listen to this whole track through. The Leisure SV 2 MK2’s soundstage and imaging capabilities are showcased here. Incredibly holographic sound with a precise layering of percussions, voices, keyboard, and guitars. It’s sparkly, rhymic, transparent, and just incredibly visceral. Another track I had to listen to the whole way through. TheLS 2SV MK2 is quieter with a wider and slightly deeper soundstage. It has a clearer exhibition of fast lines and is equally rhymic and coherent. Where the Aurum Cantus really “shines” – and where I start to contemplate a super tweeter – is in treble presence. The Omega’s highs sound dull and stunted and aren’t nearly as extended. There’s a flair, accuracy, and tactility in cymbals, bells, whistles, and guitars that are just nonexistent on the Omegas. Rain sounds a little more like static whereas the Aurum Cantus has the impression of a pour of tiny raindrops. Highly addictive to say the least. As I go back to my Omega Compact Alnicos, the thing I miss the most are those beautifully accurate, textured, and tangible highs of the Aurum Cantus. This is especially the case for stringed instruments. Layering and delineation. Denton’s are more of a blurred mess, especially when things get busy. Acoustic shaping. Outlines and placement is much clearer. More controlled top and bottom-end. Denton a little bit flabbier. Much larger and much more immersive soundstage. Reverberation cues are accurate. Much better extension in all directions, especially in the treble. It just breathes into the room. Dynamic contrast. The Denton is more calm and relaxed…and flat. More intelligible, transparent, or resolving. So aside from a more warm-blooded sound, the Dentons just lack the vividness that gets your heart pumping. It’s slow, soft, and a little lazy. It doesn’t have the resolution, speed, or depth to be convincing. Definitely more of a kickback with a glass of whiskey kind of speaker. There’s an uncanny sense of infinite extension with the LS 2SV MK2. The music just reaches out with its brilliance and ambient cues. Midrange isn’t dense but has amazing resolution. Without a Bass Boost, like the one in the affordable PS Audio Sprout100, I would recommend a subwoofer to accommodate the lower octaves. Otherwise, the bass is taut, punchy, and resolved. The LS 2SV will also scale as you upgrade your source and amplification. The Aurum Cantus Leisure 2 SV MKⅡ Loudspeaker is all about acoustic atmosphere, clarity, and depth. The typical trade-off for these qualities is a less meaty and a slightly lifted tone. Although not very warm…it has a sweet spectral balance. The music just envelopes you in an exceptionally layered embrace. It’ll dazzle you with vivid transparency and speed while voices are pristinely focused and intelligible. You won’t just hear the sound – you feel and visualize it in front of you. 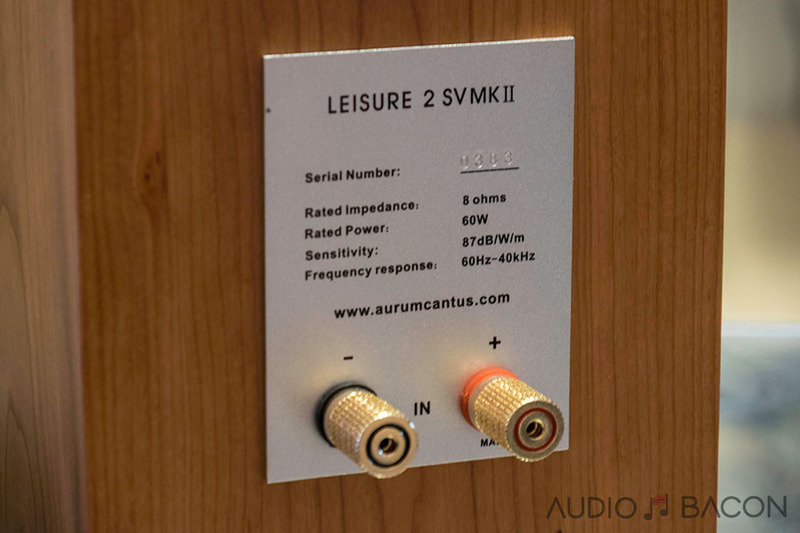 The Aurum Cantus Leisure 2 SV MK2 never comes off clinical and remains a resolving head-bobber and toe-tapper throughout. The beauty of all this is that you’re given this experience without harshness, fatigue, or an eye-watering price tag. I highly recommend a listen. 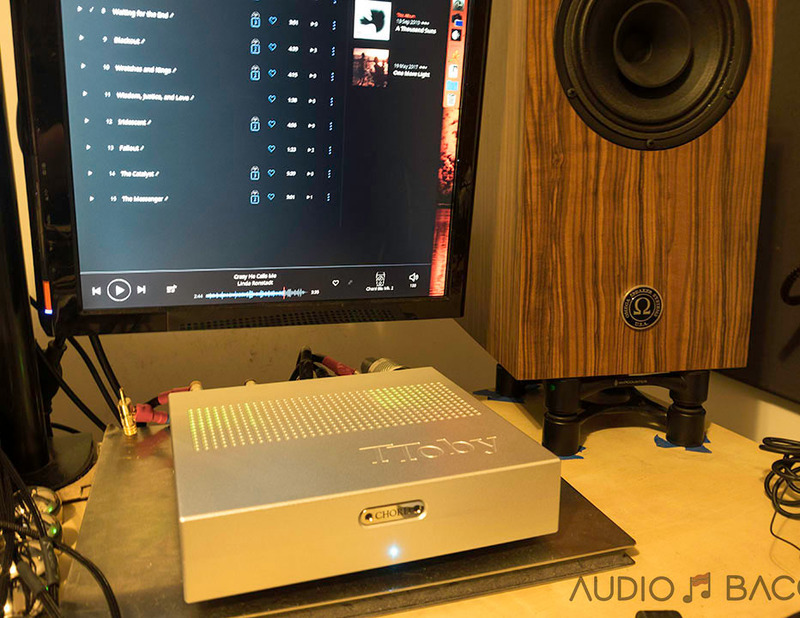 Audiophile Direct sells directly to customers at wholesale here in the US. That eliminates a critical layer of cost in the sales process. No middlemen, no additional markup, and simply more value for customers. All prices include free shipping within the continental US and 60 days in home trial. Check them out here. Wow….thanks for the review. I’ve had my eye on this one after catching the upgrade bug. And what a surprise to see my Dentons in the discussion. After 4 yrs of listening to them I’ve grown accustom to their sound. But after reading your review, it seems I’m missing out on quite a lot. I hope I can stand the change. Glad to hear the AC’s are not fatiguing in the treble region. Ribbons have a reputation for sharp edged highs. I’ve been researching all the typical brands but this one seems to be a real upgrade over more conventional models at a reasonable price. The treble is absolutely beautiful on the LS 2SVs, though I will say voices sound more fuller with the Denton. The Denton’s are also much warmer sounding so if that’s something you’re not willing to compromise on, the 2SV may or may not be a good fit.